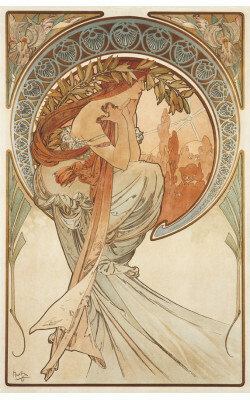 Alphonse Mucha was a leading exponent of the Art-Nouveau style, which demanded the creation of a decorative scheme that would allow for the repetition of stylistic patterns. 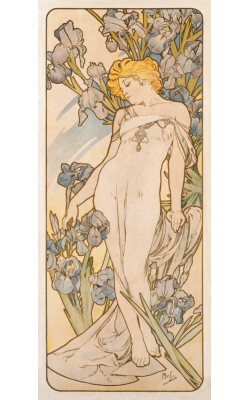 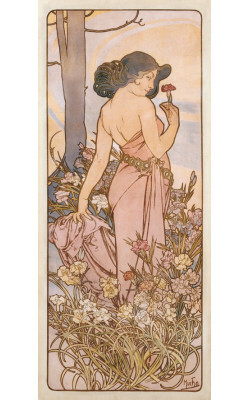 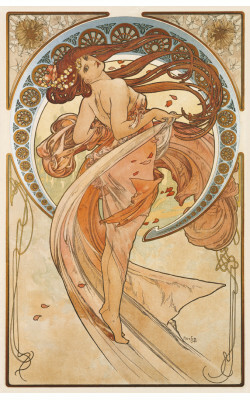 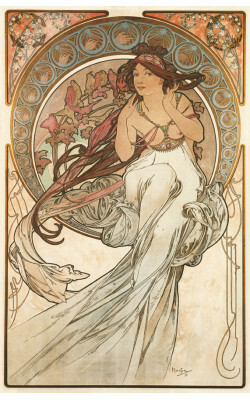 Mucha based his work on an image that lent itself to an arrangement in cycles based on traditional themes, usually drawn from the physical world. 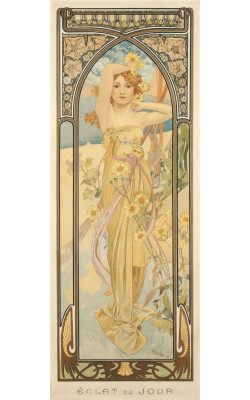 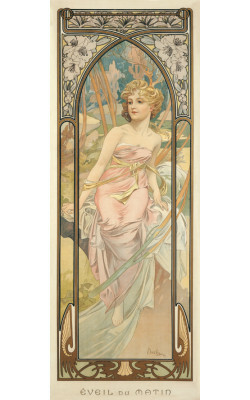 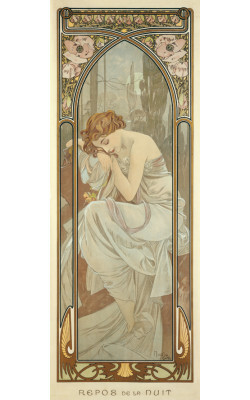 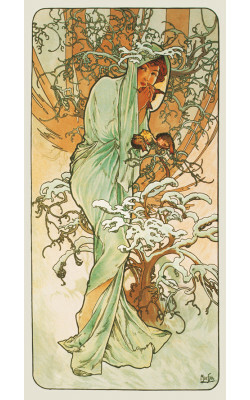 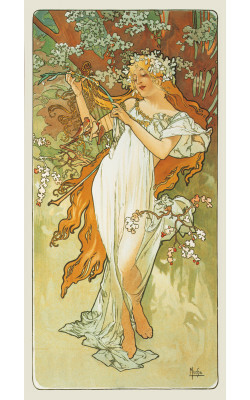 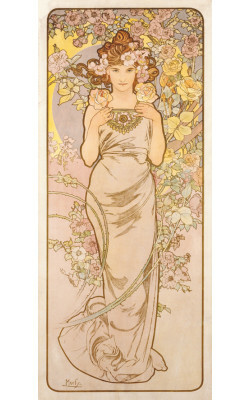 For this reason, Mucha gave his first set of decorative panels, made in 1896, the title The Four Seasons. 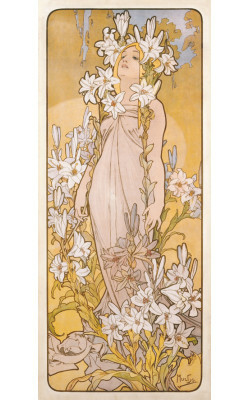 He continued this practice with a number of highly successful panels which respect the fourfold or twofold variation on a theme, including The Four Flowers (1898) and The Four Times of the Day (1899), originating during the period when Mucha’s style was already fully developed. 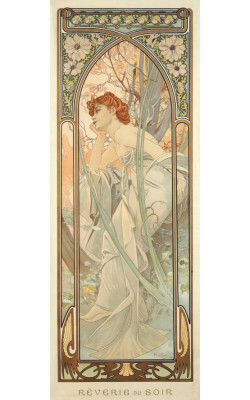 The stylized combination of vegetation and beautiful women was an expression of his joyful vision of life, one greatly appreciated by his audience at the time. 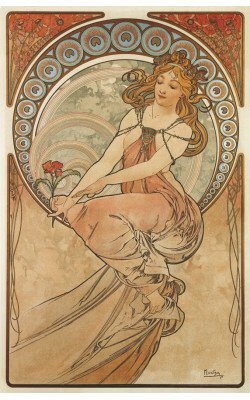 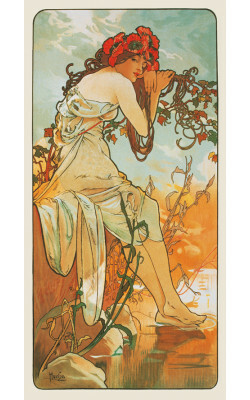 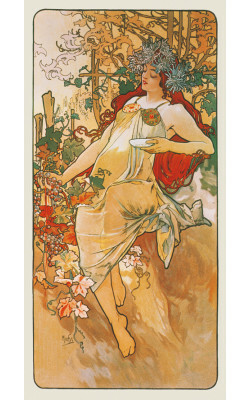 From the artistic perspective, The Four Arts cycle (1898) can be considered the most serious among these cycles, executed in several techniques and distinguished especially by the poetic quality of Mucha’s designs.